WatchBox is your one stop digital toolbox that allows watch collectors to manage and build their luxury wristwatch collections. You can only wear one watch at a time, but with WatchBox, you can have all of your watches at your finger tips! Whether you are looking to stay on top of watch industry news and trends, manage your watch collection, or buy/sell/trade new or pre-owned watches, WatchBox is the first watch-related app you'll want on your iOS device. Ever wonder what your watch collection is worth or how much you should expect to pay for a certain model? Now the WatchBox app provides an estimated value of what watches will sell for on the secondary market. Our estimated market value is computed using a proprietary algorithm that evaluates historical and active sales records spanning the secondary market – online sales platforms, auction sales and our own data. Use our market value estimate as a jumping off point on your next watch pursuit. The “My WatchBox” feature allows you to digitally store and manage your watch collection. 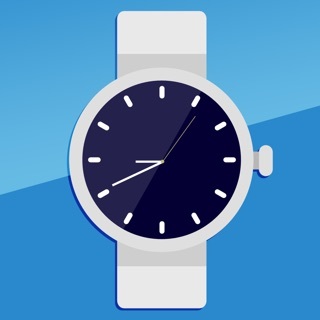 Whether you have a few watches or are an avid watch collector and enthusiast, WatchBox will quickly become your app of choice to store and share vital information and photos of your watches. "My WatchBox" is your virtual watch winder. For each watch, you can add multiple images, watch features, and store important documents like warranty cards, appraisals, service, records, etc. With the WatchBox app, your collection is always a tap away, making it easy to share your watch collection with friends or have access to it whenever you need it. The "News & Notes" section provides quick and easy access to top news stories from the leading watch magazines and blogs including aBlogtoWatch, iW Magazine, Perpetuelle, Quill & Pad, Haute Time, Watch Collecting Lifestyle, Watch Anish, Worn & Wound and many more. Updated in real time, watch aficionados know to stay on top of the latest breaking watch industry news with WatchBox. The "Sell" section of the WatchBox app makes selling or trading luxury watches as easy as 1-2-3. Just snap a few photos of your watch, fill out some basic information, and submit it to our watch experts for a free purchase or trade quote. As one of the largest dealers of high end Swiss watches such as Patek Philippe, Rolex, Breitling, Omega, Cartier, IWC, Jaeger-LeCoultre, Vacheron Constantin, Panerai, Audemars Piguet, and many more, we can offer the best prices for you to sell or trade your pre-owned timepiece. The "Shop" section of the WatchBox App includes great features to help you expand your watch collection. When you are ready to buy a watch, just the app and check out our amazing selection of 100% authentic watches. The App is continuing to evolve with new versions released every month -- stay tuned for exciting new features that will make the app even more valuable for watch enthusiasts! Thanks for downloading the latest version of the WatchBox app! We've added new features that make getting the latest watch news even easier! - A brand new browsing experience! With a redesigned home screen and a new, enhanced search, we've made it even easier to read the latest news, try on watches, view our inventory and find exactly what you're looking for. - WatchBox Studios. Stay up to date with the industry by watching our live, in-house produced shows featuring a cast of rotating watch experts. The App is continuing to evolve with new versions released every month -- stay tuned for exciting new features that will make the app even more valuable for watch enthusiasts! The app won’t let you sign into an existing account for the first time. The features clearly intend that capability, but login times out every time. So you’re forced to go through the LENGTHY onboarding experience, even if you made an account on their site. Frustrating. Also, the features that allow you to curate your own collection online are nice, but better in theory than in practice. The images are rough in the feature for some reason, too. The app has problems with scrolling of items when there are more than can fit on couple of pages. It would jitter and start showing previously seen items till it jitters again. This issue has been in the app is forever. Also the news article don’t load completely sometimes this is new and was introduced with a new app news format. The new news presentation is not very intuitive in my opinion. There are so few apps out there that satisfy my addiction to horological news, trends and time pieces. This app covers the different brands and news with beautiful pictures and the best of articles from numerous other websites in one concise format. It is my 'go to' source for my daily fix of horological information. Well done.